Marc is a graduate of Indiana University and Chicago Kent School of Law, ‘89. After graduating law school, Marc worked for the Cook County Public Defender’s office. Marc practiced law for seven years before moving to Los Angeles to begin a career in entertainment. Marc started his career in LA in legal and business affairs at both the ABC Network and Fox Television Studios. Marc first moved into representation as a manager for Michael Ovitz’s Artist Management Group, and then as an agent at United Talent Agency in 2002, where he was ultimately made partner. In 2008, Marc jumped to Endeavor Agency as a partner in their TV Literary Department. In 2009, Endeavor merged with William Morris Agency, the oldest talent agency in the world, to become WME Entertainment, one of the largest talent agencies in the world. 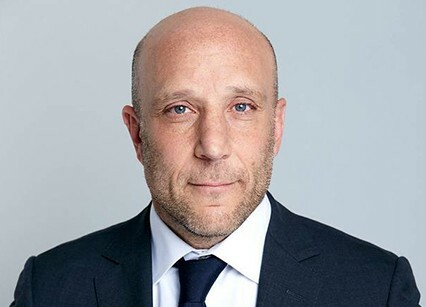 Marc remains a partner and agent in WME|IMG Entertainment’s TV Literary department, where he represents top show creators, executive producers, and personalities working in the television industry. Clients include the creators and executive producers of shows including: The Vampire Diaries, CSI, American Horror Story, Glee, Sons of Anarchy, the Law & Order franchise, NCIS: LA, Chicago Fire, Revenge, Person of Interest, and Arrow, amongst others. Additionally, Marc works with Oprah Winfrey and packaged her new hit series Greenleaf to help launch her network, OWN. Marc also works with many significant directors, including Baz Luhrmann (The Get Down, The Great Gatsby), Jay Roach (Austin Powers, Game Change), M. Night Shyamalan (The Sixth Sense, Split), Robert Rodriguez (From Dusk Till Dawn, Sin City), Alex Garland (Ex Machina) and Danny Boyle (Slumdog Millionaire, 127 Hours). In addition, he works with several critically acclaimed playwrights and directors including Tommy Kail (Hamilton), Steven Levenson (Dear Evan Hansen) and Mike Bartlett (King Charles III).